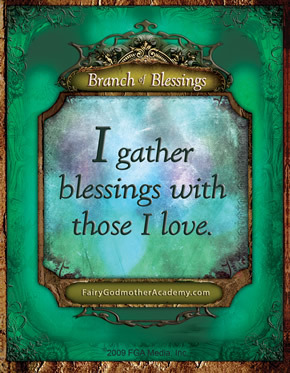 Branch of BlessingsI gather blessings with those I love. What do you feel most grateful for? When you look around the green world it’s easy to give thanks for the sun, the trees, and the even the rain! You might also feel thankful to have friends that dream with you and a family that cares for you. Make a branch of blessings to show that you appreciate all the gifts in your life. 1. Go on a walk to find a branch and gather materials. First, find a sturdy branch and a large leaf (an oak or maple leaf works well). Trace the leaf onto a paper grocery bag. Now think about who you’ll invite to help you create a blessing branch. Make a leaf tracing for each person. Cut the traced leaves out and paint or decorate them however you’d like. Let them dry. Turn the first leaf over and write your blessing on the back. You might be thankful for something as big as the whole green world, or as small as the cup of tea your grandmother made for you. It’s up to you! 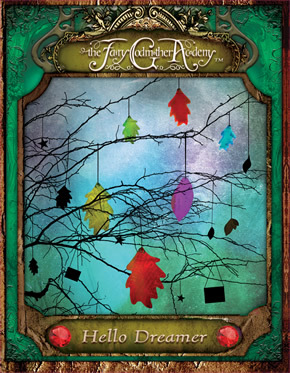 Present each remaining leaf to a family member or friend. Ask them to write something they’re thankful for on the back. 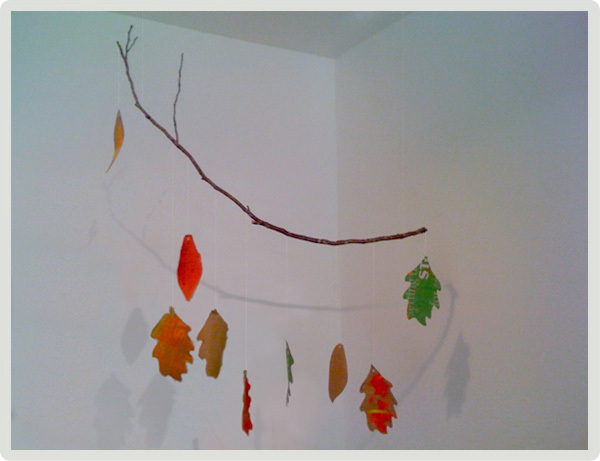 Together, hole punch the leaves and use string or fishing line to hang them from the branch. (You can also hang photos, talismans or other cherished objects.) Then place the branch in a special place where you’ll see it everyday! 6. Tell Birdie about it! How many blessings did you hang from your branch? What are some of your favorites? Birdie will post a list of all the blessings she hears about on her blog, so be sure to add yours! This will make my family thankful for all God gave us! Boo!I want to do this with friends. I agree with GentleLove, my mom will love this. I am thankful for my family, my dog, and my room. I need my privacy. Jules, I think I will do that too! My friends would love this! My family will too! This is so cool! I would like to thank the birds, the air, the forest, and everything I have grown up with. Thank you, too! I’m going to do this right away. Seems fun! I am going to have a List book so I can write down all the lists I need and won’t forget them. I have so many, including this one!!! Good thinking Amira, I should try it! I bless God and Wisdom for this! Amira, keep writing your blog! “Receive everything from the Lord with thanksgiving. I pray that this Wisdom will deepen in each of your hearts, and be a lifelong blessing. I love this! It’s perfect for my new room!